Midnyte Reader: Book Blogger New Year's Challenge - January 8, 2014. 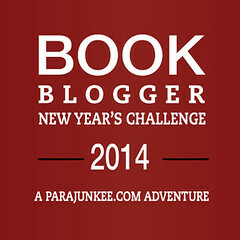 Book Blogger New Year's Challenge - January 8, 2014. Day 8. Your favorite Book Blogger moment. How would I even measure that? There are sooo many to choose from. I could start with The Night I Got to Ride in a Car with Robert McCammon at the World Horror Convention in Salt Lake City, or talk about getting a hug from Joe Hill and Jonathan Maberry. I could ramble on for hours about the time I met Charles de Lint, Douglas Clegg, Gillian Flynn and Peter Straub. Yes, Peter Straub. And I suppose there's always the time I was able to see Stephen King speak. Twice. I could go on and on about all the signings I went to at Books of Wonder, Oblong Books and The Voracious Reader. Including but not limited to Andrea Cremer, Kim Harrington, Maggie Stiefvater and Neil Gaiman. Holy crap! Do I sound spoiled or what? I could talk about BEA and all the *additional* amazing authors I've met. Jeri Smith-Ready, Brenna Yovanoff, Holly Black. Helloooo! Standing in line and meeting other bloggers, collecting business cards and gleaning great information. But really, my favorite book blogger moment(s) would be the friendships I've acquired. But how do I even begin to talk about one defining moment that counts as my favorite? Maybe it was the time Miki, a follower from Belgium sent me a Christmas package. Or all the instances that Jennifer from Book Den and I always plot to meet one day. Oh and we shall. We shall. Maybe I should extrapolate on all the times Julie from My Five Monkeys always has a kind word, especially when I'm having a bad day. How Maria from The Serpentine Library and I never judge each other when we stop at fast food joints on the way home from book events. I could also tell the story how Karen from For What It's Worth asked me to co-host a meme with her and how I honored I was because she is one of my most revered bloggers. Then I'll have to explain how our correspondence since has validated me, supported me and made me laugh. Wait, I know. I'll relate the time that Karen, Felicia of The Geeky Blogger's Book Blog, Missie from The Unread Reader and a bunch of us dressed up as White Trash Zombie waitresses at Authors After Dark. (We all miss you Missie!) I could also delve into all the times Kate from Midnight Book Girl helped me with her amazing ideas, our various adventures and how she always just cracks me up. Or maybe I should reminisce about the time during one of my trips to New Orleans that I had dinner with our lovely hostess of this meme, the unstoppable Rachel from Parajunkee. I'm sure I'm leaving someone out, some other magical moment and I apologize. I didn't mean this to be a "pick my friend," cliquey kind of post. I swear. I hesitated even writing this because I would never want to slight anyone. But hey, look at it this way, it slipped my mind I met Neil Gaiman until I looked back through my posts so that proves I'm reeeeally forgetful. Does the above count as blogging moments or more friendship moments? Well, none of them would have happened if I hadn't started blogging so...there ya' go. I appreciate all the people I've met, and truly, all the connections and friendships I've made are worth more to me than any book on my bookshelf. I'd love to know some of your favorite blogging moments. Please share! Labels: Book Blogger New Year's Challenge, Favorite blogging moment. I'm super jealous that you've been able to meet all these people. I'd love to travel more, but can't with a kid in tow. I love this post Pam! You know I had my big blogger epiphany this year lol and to me this says what I've been feeling. It's the friendships that make it all worth while. And you know I love and respect you back 100%! Also - I'm so jealous of all the cool bookish events you get to go to in the city. LOL @ the pics. I love your shirt on the first one - it's something that Abby from NCIS would proudly wear! Plenty of great moments, but it's obvious that you treasure your friends more than all the authors you got to meet. I'm jealous ;). @Julie-Well you're so sweet too. @Lizzy-And I think you're lucky because you have a child! : ) Nothing beats that! @Karen-Yes, it is the friendships that make it worthwhile. It's almost as if I post for my bloggy friends and the followers as well as myself. Anytime you want to do something in NYC, you can come stay with me! @Becky-I would have to agree. Thank you. @Felicia-It was so much fun and you made it funner. Yes, please lure Missie back. @Roberta-You are right, I treasure my friends more than all the authors I got to meet. Very accurate. @Farhana-I really have when I stop and think back on it. I'm also really lucky to live so close to NYC. @Kate-I am so not cool Kate - dorky and awkward yes, but definitely not cool. I am so grateful for your friendship too. You have no idea.